I’m only exaggerating slightly when I say that I barely know one end of a horse from the other. The real truth is I’ve never been especially fond of animals and, unlike many of my friends, I never ever went through the “I want a horse more than anything else in the world” stage. However, a few weeks ago I was invited to the King Abdulaziz Arabian Horse Centre at Dirab, and I said yes. You see if there’s one thing I’ve learned living in Saudi, it's that you grab any opportunity with both hands. So if that means scrabbling up rocks at The Edge of the World one weekend, or seeing Arabian stallions another, I’m there. Last Tuesday was the day. Dirab’s a couple of hours out of Riyadh and the first thing I noticed when we entered the Centre was the beautifully landscaped grounds and the arena’s expanse of green grass against a backdrop of sandy, rocky mountains. After we'd been introduced and welcomed we sat back and enjoyed the unfolding vista of one beautiful horse after the other. 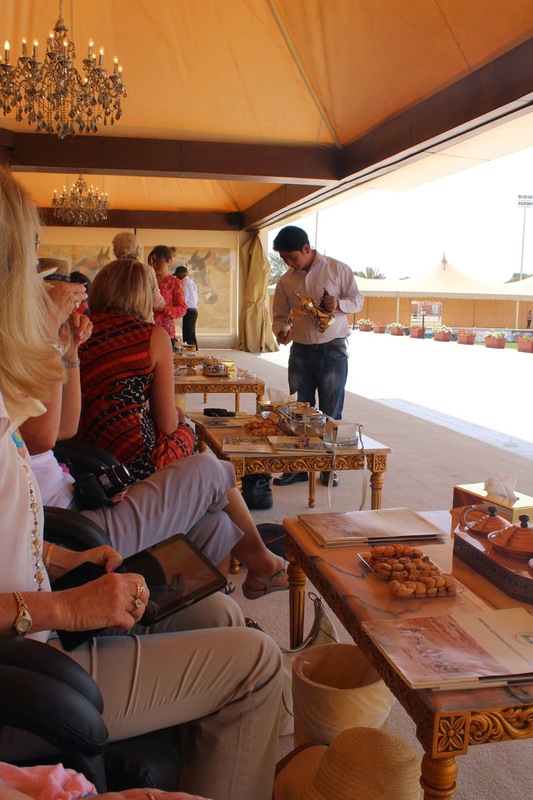 We watched from a large open-ended tented structure and as each horse passed we were plied with Arabic coffee, tea, dates and biscuits. The total experience was memorable. 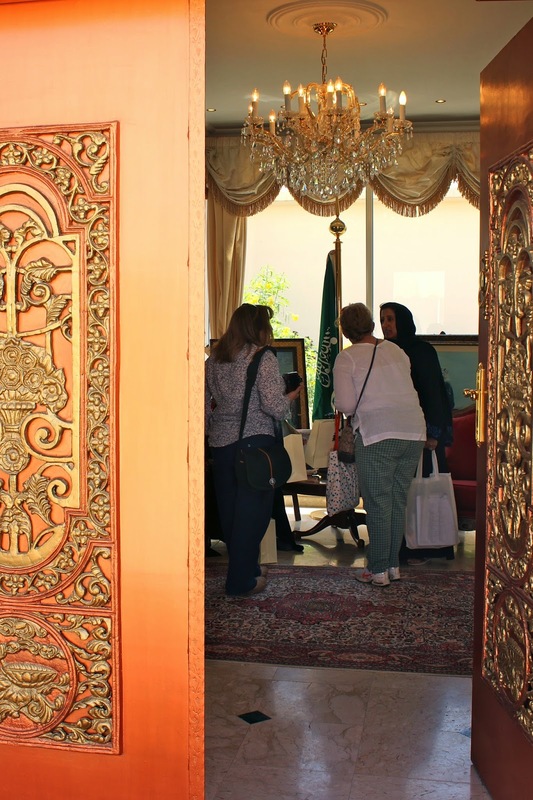 No one does comfort and luxury better than the Saudis and as I glanced up at the suspended chandeliers, I thought it all summed up the very best of Saudi hospitality and generosity. So here's an eye into my morning. There was no doubting the pedigree of the horses, but I must admit I wondered at the rationale behind the foundation of the Centre itself. There had to be more to the whole place than just displaying horses to interested groups of people. My answer came in the bus as we travelled home. We were all given information packs and as I thumbed through the English language section, I read that the Centre breeds and maintains many Arabic horses of pure Saudi desert descent. It sits on one million square metres of land, so it's a vast facility. We only saw a very small part of it. At the end of the display, and after all of us who’d wanted had had a turn at sitting on two very long-suffering and patient stallions, we were taken to a reception area. Here, there was a display of related Arabic horse memorabilia and before climbing on the bus to leave, we wandered around and tried to take it all in. I'd have to say I really enjoyed my morning. Once again it was nothing like anything I’d ever done or seen before, which pretty much sums up so much of living in Saudi.